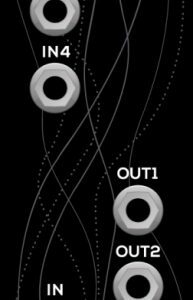 Sequence up to eight sound sources in advanced ways or route one sound source sequentially to eight different sound modifiers. 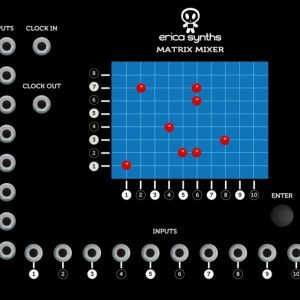 Erica Synths 8 channel SEQUENTIAL SWITCH, the first assembled module from Erica Synths, allows you to sequence up to eight sound sources in advanced ways or route one sound source sequentially to eight different sound modifiers – VCFs, waveshapers, VCAs, etc. 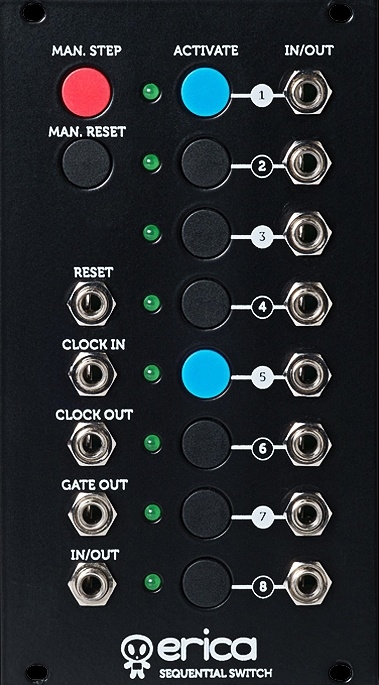 It has unique control interface that allows you to pause, skip and merge steps, set sequence length, but what really sets it apart from other sequential switches is play mode selection and the Gate output – when used with ADSR and VCA, you get really powerful sequencer with real time control over each sound source in the sequence. 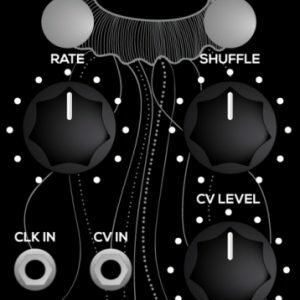 Use Sequential Switch with random clock source and you get a heart of insane random, self-generating patches! 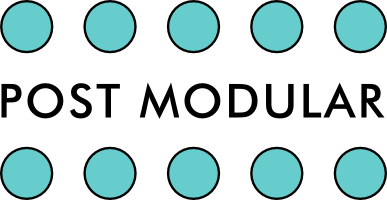 Forward, reverse, ping-pong and random play modes! 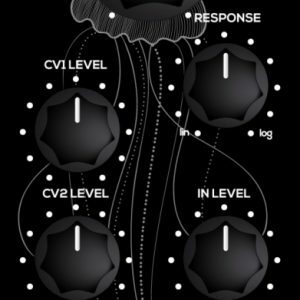 And don’t forget to check Sequential Switch CV Generator that turns the module into powerful 8-step sequencer!